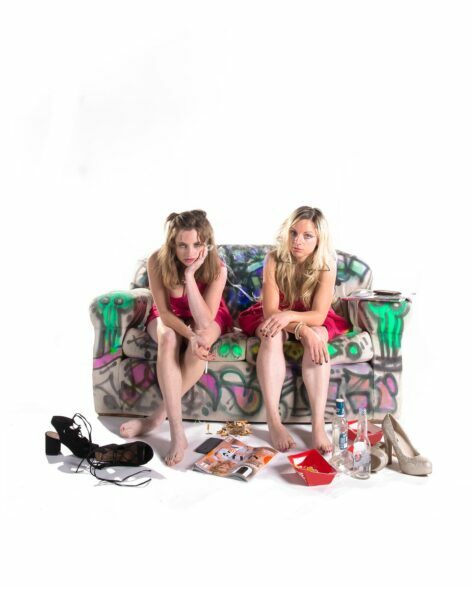 Pulled is an uncompromising, utterly hilarious comedy about female sexuality and the social media generation from Devious Theatre company co-founder Niamh Moroney. Meet Amanda and Michelle as they retrace their drink-fuelled steps from the night before through a trail of Twitter, Facebook and selfies, and tackle such existential questions as How did I end up here?, Do I need the morning after pill? and If a woman pulls in a nightclub, and no-one is there to Snapchat it, did it actually happen? Hungover, emotional and gloriously unapologetic, these two man-eating young wans strut their stuff in front of their imagined audience on social media, in a performance that pushes buttons and boundaries … until Michelle finds herself maybe-possibly-probably in need of the morning after pill, and they’re reminded that there’s a price to be paid. Pulled marked a major new collaboration between two South East based companies, Central Arts of Waterford, and Devious Theatre. This was the third production in the Devious Theatre’s Devious 10 programme and the second celebrating the second birthday of Central Arts. Pulled by Niamh Moroney was first performed from September 13th-17th 2016 in Central Arts, Waterford. It then played Set Theatre, Kilkenny from September 29th to October 1st. It subsequently played the Edinburgh Fringe Festival in August 2017 before embarking on a national tour around Ireland in autumn of that year.